Greg Yarrow of Clemson University defines conservation as the act of consuming natural resources responsibly and carefully so they will be available in the long-term. Yarrow notes that conservation is distinct from preservation in the sense that preservation involves maintaining natural areas for their own sake, which includes protecting them from human use and intervention. Yarrow says that all organisms that are not directly acted upon by humans, such as uncultivated plants and undomesticated animals, could be considered forms of wildlife. Wildlife conservation is considered one of the most pressing environmental concerns today. In nature, different species are connected through various food webs. Frank Mazzotti at the University of Florida talks about the fact that the disappearance of one species could influence several others down the line. The loss of an animal that isn't especially important economically or culturally could unexpectedly affect a type of animal that is, so widespread wildlife conservation is a general preventative measure for unforeseen problems. Promoting wildlife conservation could help secure future food supplies. Harvard University maintains crop diversity in agriculture makes food supplies less vulnerable to disease. Individual crops can suffer different diseases, while an entire field of just one crop could succumb to a single blight. Mazzotti argues that many of the plants have never even been used in conventional agriculture could become new crops. Mazzotti indicates that wild plants could also contain the genetic material necessary to modify the crops that are currently in use, and wild plants could be used as the basis for developing biodegradable pesticides. There may be many undiscovered plants and animals in the wild. The Economics of Ecosystems and Biodiversity (TEEB) refers to the importance of maintaining ecosystems and biodiversity for the sake of plants that provide substances used in both the pharmaceutical industry and traditional medicine. AB estimates that as many as 50 percent of the drugs available in the United States were originally developed from microbial organisms, plants, and animals. The AB also argues that using additional natural sources as the basis for research, instead of relying on artificial sources, may be more efficient and worthwhile. It's possible that failed attempts at wildlife conservation could cause medical science to lose important sources of knowledge. TEEB makes note of the fact that ecosystems supply many essential raw materials used in basic human activities, while helping to maintain the environmental conditions that humans often take for granted. However, the activity of ecosystems can influence the quality of life for humans in ways that are not necessarily immediately obvious. According to TEEB, ecosystem activities have an effect on the quantity and quality of fresh water accessible to humans. Human services that tried to compensate for related ecosystem damage by purifying the water artificially would be losing money in the process. Organizations like Ecosystem Valuation (EV) attempt to quantify the importance of natural resources and stable food webs to humans. For instance, EV would take into account the costs of raising fish when it considers the economic value of natural fish habitats. Discussions of eco-services can illuminate the inefficiencies of trying to artificially replicate something that natural ecosystems were already doing for free. As AB indicates, it may be challenging to try duplicate these systems in the first place, since humans don't even fully understand the functioning of most ecosystems. According to the National Wild Turkey Federation (NWTF) wild turkeys were an endangered species in the United States up until very recently, but wildlife conservation efforts for wild turkeys have been largely successful. The NWTF claims that the subsequent resurgence in turkey hunting has helped strengthen the economy on a national, local, and state level. 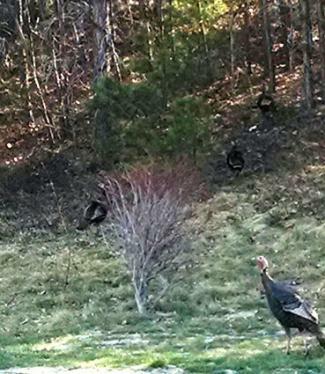 If the NWTF's reported estimates were correct, each state may have spent 12.3 million dollars on hunting wild turkeys. It's possible that other wildlife conservation efforts could have other positive economic consequences. According to the African Wildlife Foundation (AWF), providing tourists with the chance to see African animals within their habitats has been a tremendous stimulus for economies within Africa. The AWF suggests that ecotourism seems to help promote wildlife conservation. Mazzotti says that ecotourism helps make wildlife conservation economically feasible in the developing world in the first place, which can help preserve essential habitats like rainforests. According to Mazzotti, the fact that various animals can serve as indicators for other environmental problems is one of the rarely discussed benefits of wildlife conservation. Mazzotti refers to the situation in which the loss of peregrine falcons and bald eagles was one of the factors that alerted scientists to the toxicity of DDT, which may have gone unnoticed for longer in a less diverse ecosystem. Wildlife conservation may help solve other environmental problems in a similar way. Studying animals and their habitats can be a valuable learning experience for students of all ages. Dr. Eric Jensen at the University of Warwick has written about the educational benefits of trips to the zoo for children. 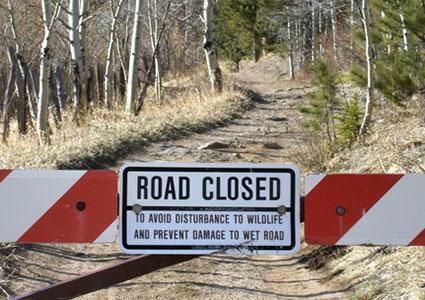 Failures in wildlife conservation may leave teachers with fewer educational resources. Wildlife diversity has a broad appeal. The psychological benefits of biodiversity for humans can be difficult to measure, but they're also difficult to dismiss. The research of Susanna Curtin at Bournemouth University indicates that ecotourists experience a tremendous sense of wonder, contentment, and fulfillment from their wildlife encounters. Curtin's research raises the question of what failed wildlife conservation efforts and a significant loss of species could mean for humans psychologically. There are many reasons - both emotional and practical - why wildlife conservation is important. Conservation can have powerful, direct impacts on the daily lives of people around the world, as well as on plant and animal life and the environment as a whole.